This blog is the personal musings about travel from someone who has already spent 50+ years on this planet and is looking forward to the 2nd and 3rd halves of their life. My opinions are mine. I only link to articles I find interesting. The scene is like a post card. The sun is setting on Calle Sol. Face the west and it fills the street placing everything except the lit street lamp in silhouette. Look to the east and the yellow sun makes the pastel colored buildings glow. 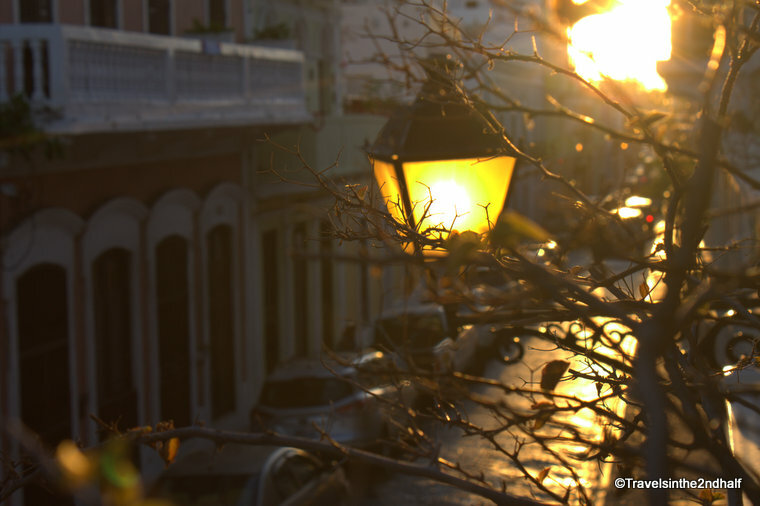 It is a beautiful end to another day in Old San Juan. 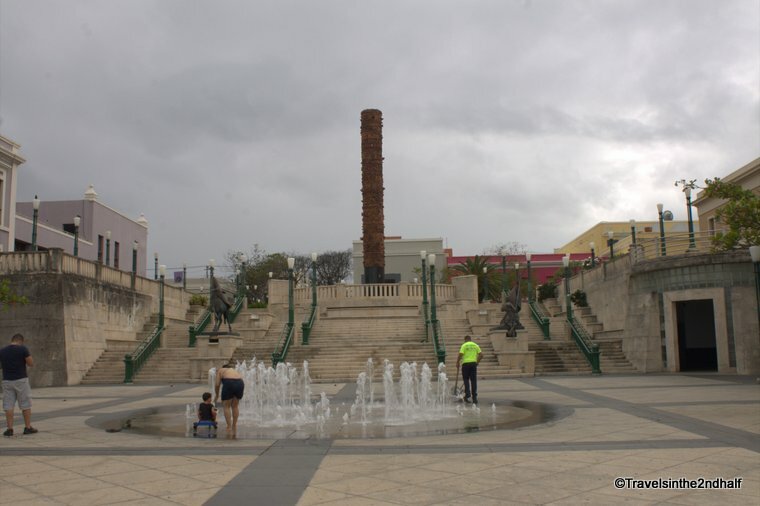 I have been coming to Puerto Rico every year or two for the past twenty-odd years. Many things have changes, even in Old San Juan, but I still get the same feelings that I did when I first came here. It is comfortable here, and I feel transported back in time. 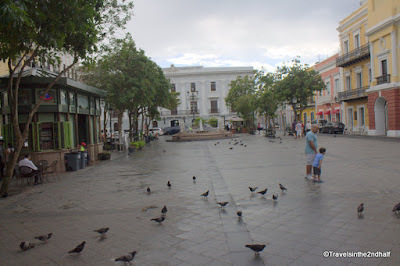 Founded in 1521, this city is one of the oldest European settlements in the Americas. Its colonial character has been preserved due to a series of laws and the fact that it was named a UNESCO World Heritage Site in 1983. This prevents construction of new buildings in the old city. 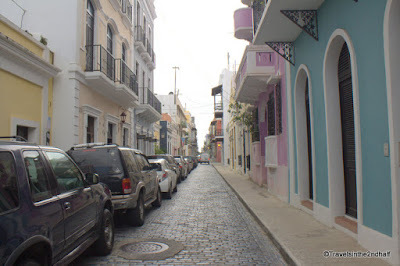 It has also helped that the streets are so narrow that large construction vehicles would never make it through. 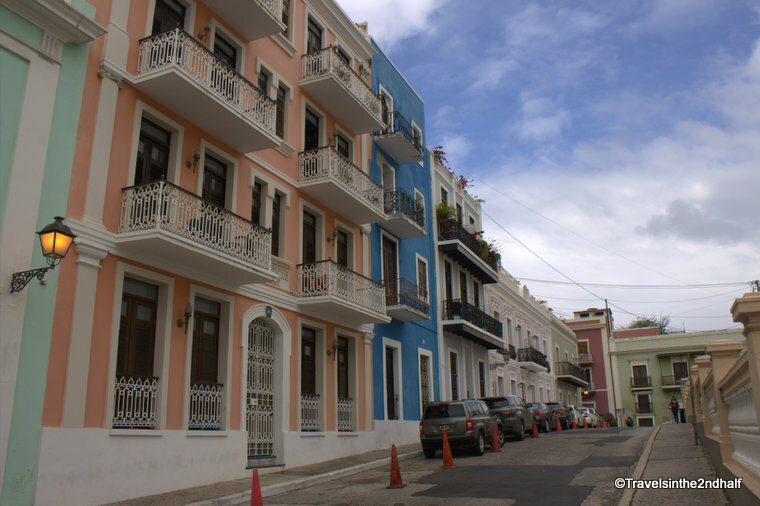 Old San Juan is a neighborhood that is ten blocks long and seven blocks wide, stretching from the Bay of San Juan up to the cliffs overlooking the Atlantic Ocean. 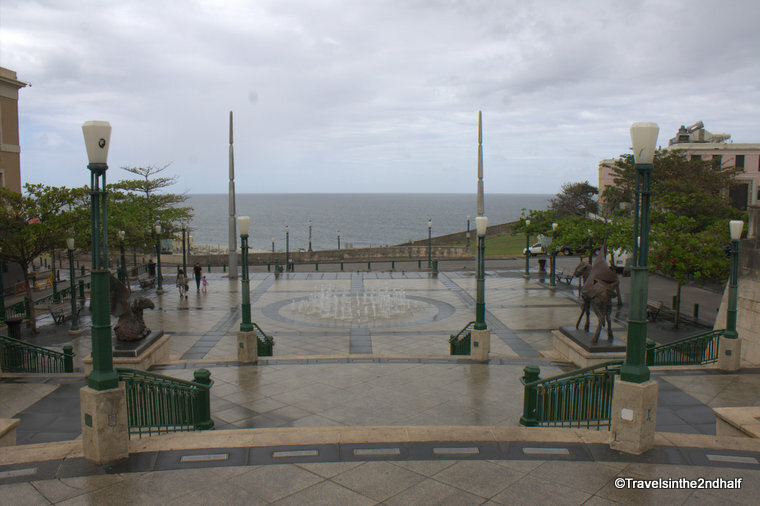 The southern half of the city, closer to the bay and the cruise ship terminals, is mostly commercial and very touristy. The streets are lined with stores and restaurants, and while the stores are mostly 3/$10 teeshirt and magnet places there are two that I highly recommend. The first is Mundo Taino, whose main branch sits at the corner of Calle Fortelleza and Calle San Jose. They sell only goods produced on the island of Puerto Rico, so you know that you are supporting local artisans when you shop there. 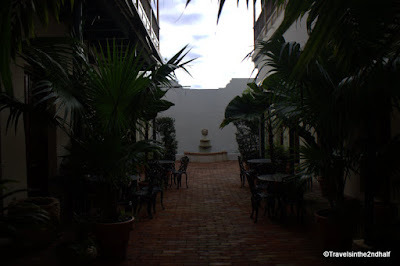 Another place I try to get to whenever I am in Old San Juan it The Poet’s Passage, next to Plaza de las Armas. 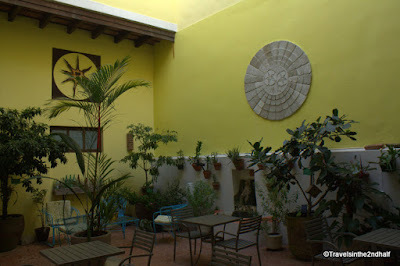 One half of the space is a wonderful café, the kind where you can come, sit and write about your day in your journal. The other half is a shop with literary souvenirs. They sell poems and verse on tiles or canvas to decorate your home. But don’t stay in the lower part of Old San Juan. Take the time to get away from the commercial center. 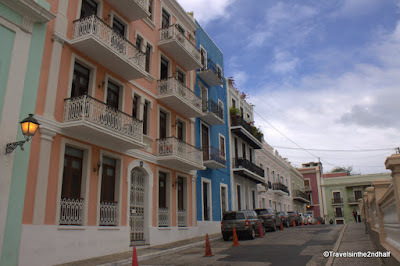 Walk north, up the hill, and wander the residential streets of Calle Luna and Calle Sol. Away from the crowds (especially when there are two or three mega cruise ships in port) this area takes me back in time. The streets and sidewalks are narrow, built for a time horse carriages and walking. 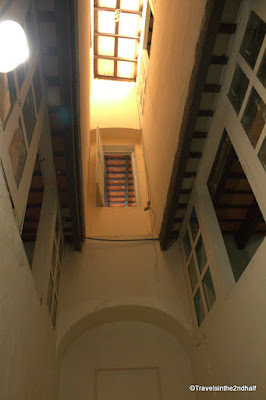 The outside of most of the buildings are carefully maintained. I love walking through these streets. They are quiet and I find myself becoming lost in thought. I wonder what it was like to live here 200 years ago. Before cars and electricity. These houses look simple on the outside , but every once in a while an open door shows a stairwell with Spanish tiles leading to the second floor, or a dark hallway leading to an interior courtyard that you just glimpse part of as you walk by. 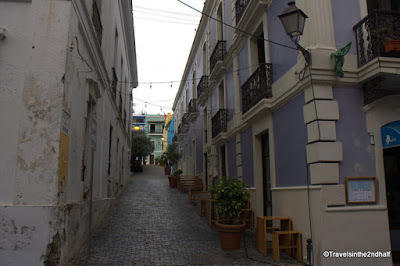 At the top of the hill is Calle San Sebastian. 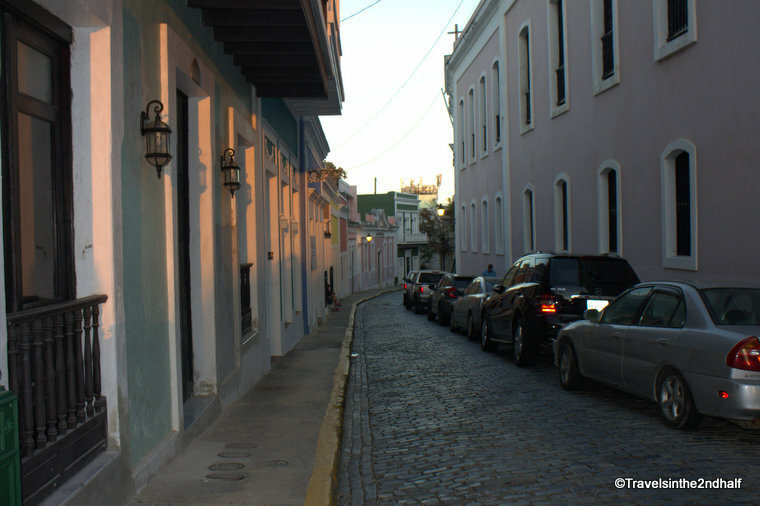 Here you will find restaurants and bars, the nightlife of bohemian San Juan. Stop for a drink, or have a meal. 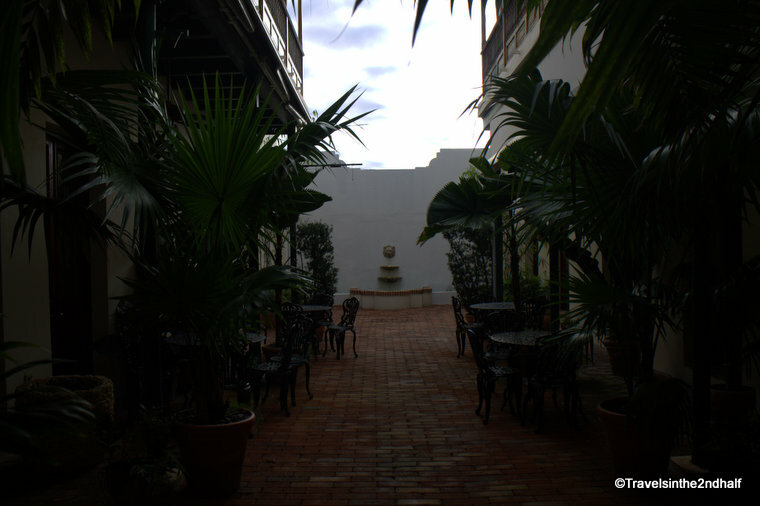 My favorite place is El Patio de Sam, near the Plaza de Quinto Centanario and the Museo de las Americas, both worth a visit on their own. El Patio serves a good selection of ciollo food and has an excellent bar. If you come in mid-January, the festival of San Sebatian will be in full swing. It takes over the street for four days and is Old San Juan’s biggest party of the year. If you want to learn about the architectural history of Old San Juan I strongly suggest taking on of the many tours offered by the Puerto Rico Historic Building Drawings Society. 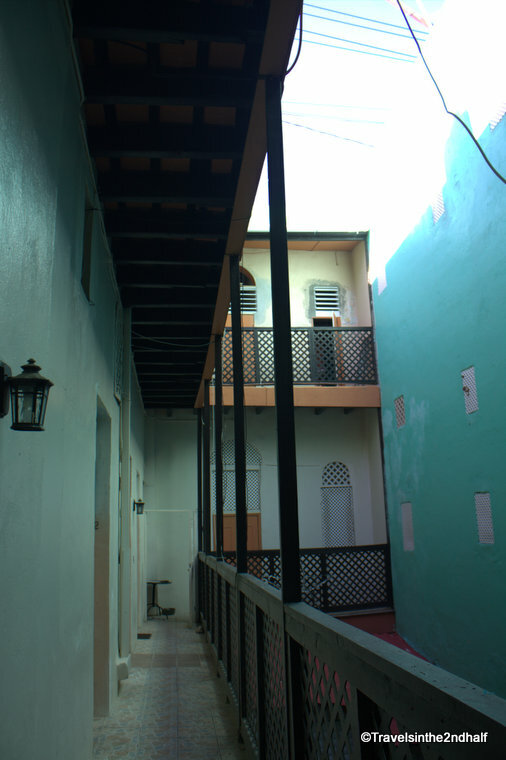 This non-profit offers walks through the old city hosted by architects and students. Their tours highlight the history of the buildings and often include access to spaces that most other tours can’t get to. And all for an extremely reasonable price. You can find their schedule on their facebook page. 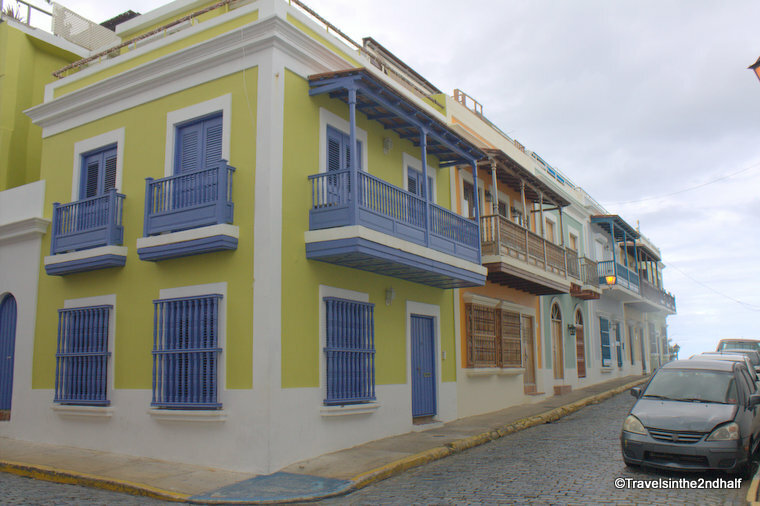 Getting There: From Condado – Take the T21 or T53 bus to the Old San Juan Bus Terminal. 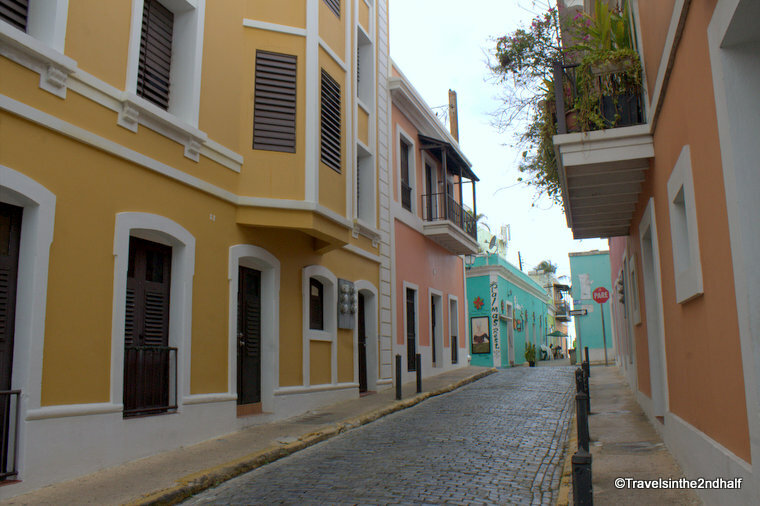 From Isla Verde – Take the T5 or T53 bus to the old San Juan Bus Terminal. 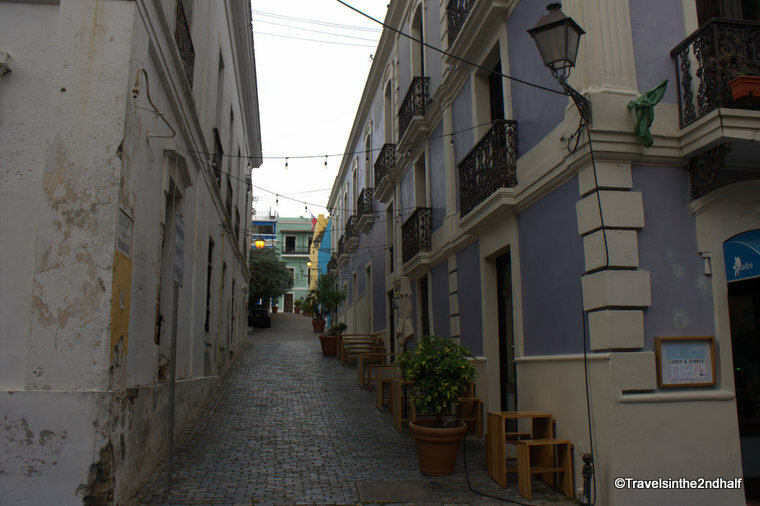 Just outside the terminal there is a free trolley service into old San Juan. 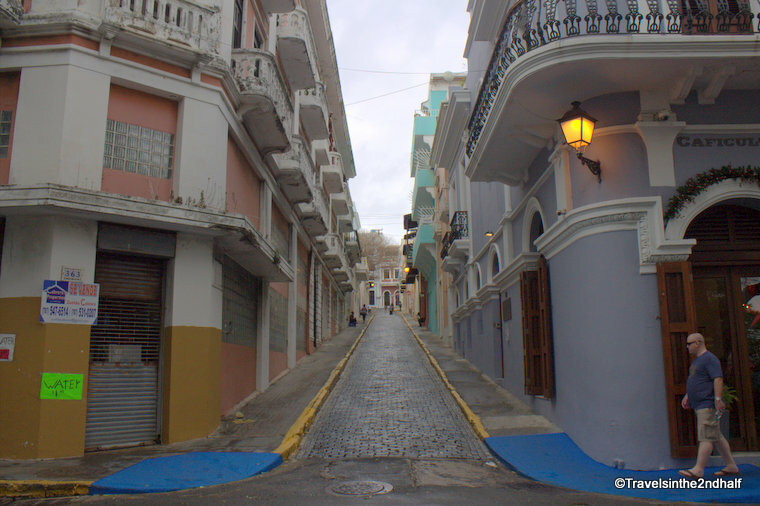 The open air trolley will take you up to the top of the hill to the two National Park sites – El Morro and San Critóbal. 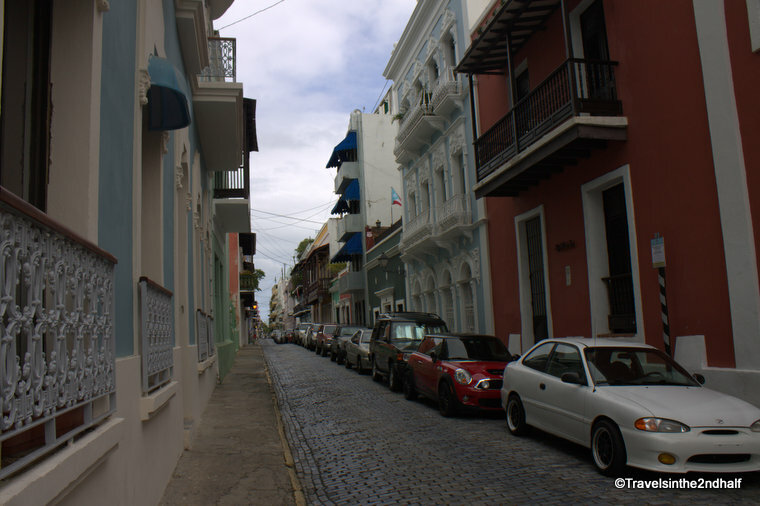 The enclosed bus will take you through the center of old San Juan. They both run on continuous loops from 9 AM to about 6PM. Driving – If you drive in to Old San Juan I suggest the Doña Fela Parking Garage on Calle Recinto Sur. It is less expensive than others in the area, and the trolley stop is directly across from the entrance. Jon, these are beautiful photos! You have provided fantastic suggestions and travel advice. You have a wonderful blog. I'm interested in taking the tours next time I'm in PR. Let's hope those wonderful, historic buildings are saved. Also glad that you mentioned my favorite store, Mundo Taino. It was a pleasure reading your blog. Can't wait to read about the stained glass windows. Follow Me: Get notification of new posts sent right to your email. I am thrilled that you have found my page, and have taken the time to read my thoughts. I would love to know what you think. LETS MAKE THIS A DISCUSSION! HOW TO COMMENT: Did my blog spark any memories? Share your stories. I would love to read what you have to say. If you want to add a comment - AND PLEASE DO- just click at the end of the post where it says the number of comments. Add you thoughts and then click where it says "comment as". If you don't see your name choose the "Name/URL" button and add yours, or choose anonymous. Then just hit the PUBLISH button and you are done. jlessuck. Travel theme. Powered by Blogger.